At a powerful 2” thick, these Hand Scraped Stair Treads offer a beautiful statement to any home. These timeless treads offer quality details, like unique hand scraping on solid, stain-grade wood. A gentle roundover accentuates the craftsmanship of the design. It’s a look that says “welcome home” to your family – and your guests. Our 2” Thick Hand Scraped Stair Treads add a modern, strong appearance to both Traditional and Floating Stair Systems. To mount thick treads on traditional stairways, be sure to read about Returned Edges on the Specifications tab above. Floating Staircases may require specific notches for mounting thick treads, depending on the system you use. We are happy to accommodate requests for notches, grooves, or other special indentations to help the mounting process. Give us a call for more details. 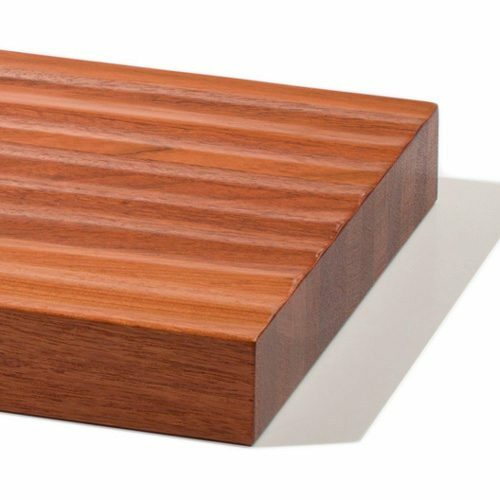 Bold and creative, Thick Hand Scraped Stair Treads are composed in a Butcher Block style. Boasting attractive and unique grain patterns on each side, the treads are edge glued for ultimate strength, stability, and durability. Traditionally styled stairways sometimes require mitered edges, but they are not commonly used on floating stair systems. If one or both sides of your stair tread will not touch a wall, the tread is fitted with smooth bullnose trim to create a Returned Edge. This covers end grain, while also adding decorative flair. To determine what kind of returned edge is required, stand at the bottom of the stairway and look up. If the right side is exposed, then you need a Right Returned Edge. If the left side is exposed, then you need a Left Returned Edge. If both sides are exposed, then you need a Double Returned Edge. 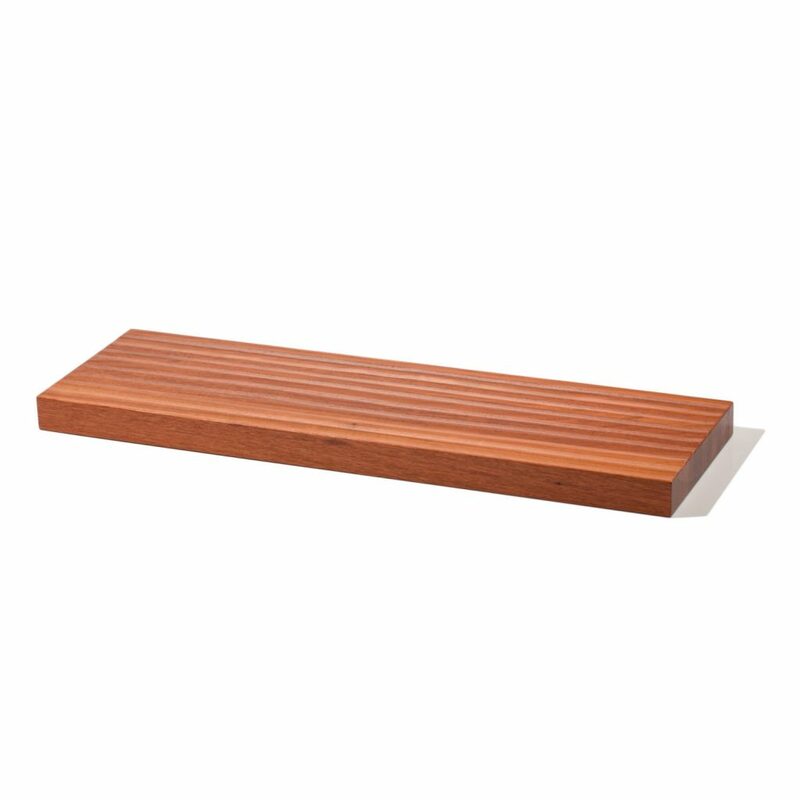 Double Returned stair treads require a special measurement called the “throat cut”, which you will provide when you place your order. Measure the length between the inside of the Left and Right Returned Edges to find the throat cut. NOTE: If both sides of the stair treads fit against a wall, you do not need returned edges. StairSupplies™ offers several premium stain and finish options for our products, depending on the product’s use. For Thick Hand Scraped Stair Treads, we offer both clear finishes and stains. Select a clear finish if you want to draw out the natural beauty and colors of the wood. If you prefer deeper, richer tones, our custom-mixed stains are the ideal choice for your Thick Stair Treads.